Oh, the joys of winter, especially if the lake freezes. 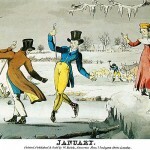 In the 1820s, Jane Austin’s contemporaries frolicked in snow and ice. Clearly these young men are showing off, while the boys in the background focus on their own games. 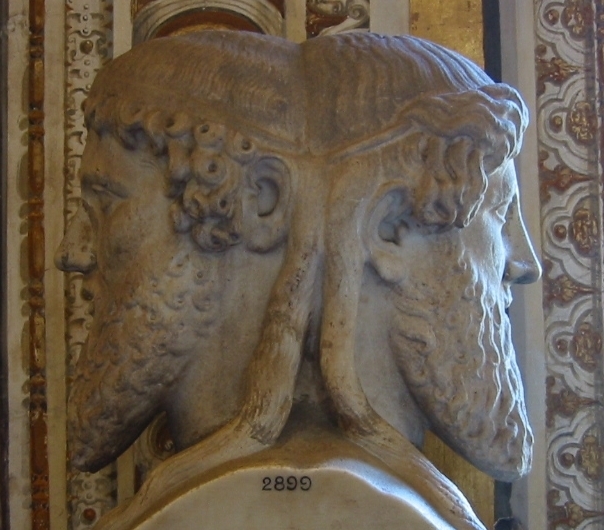 January is the month of Janus, the Roman god who looks both forward and back, supervising new beginnings. Hence, we who keep time contained on precise lines, call the first month of the year, January. 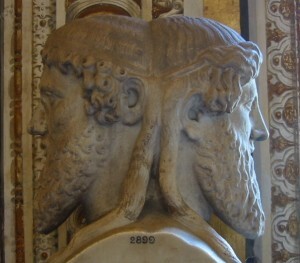 Bust of Janus. Vatican Museum. US Public Domain. Wikimedia Commons. We contain time within calendars. 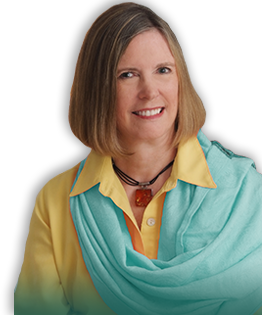 Calendars tell us how many days must pass before a particular event takes place, or, conversely, how many days have passed. People have kept track of time since earliest recorded history, and probably longer. Ancient Sumerians organized both a lunar year of 354 days and a solar year of 365.25 days. To keep things tidy, they added an extra month every six years. 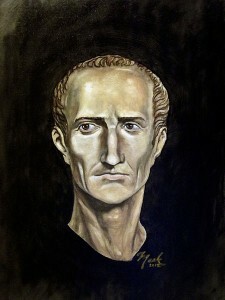 Julius Caesar by Amadscientist. Public Domain. Wikimedia Commons. When Julius Caesar gained control of Rome, he inherited a calendar featuring 304 days over ten months. He found this inefficient. Besides, what could be more indicative of power than being able to control time itself? The Julian Calendar stood largely unchanged until 1582. Caesar began the year on January 1 and ended it on December 31. Gregory XIII. 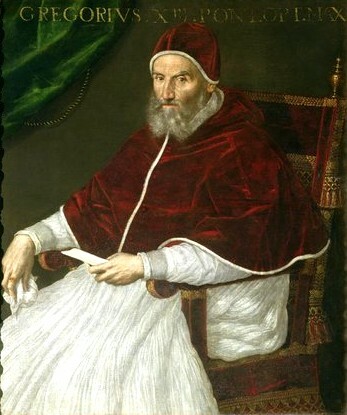 Portrait by Lavinia Fontana. US Public Domain. Wikimedia Commons. With this adjustment the length of the official year changed from 365.25 days to 365.2425 days, which actually reduces the year by ten minutes and forty-eight seconds per year. Even so, every four years an extra day occurs in February. 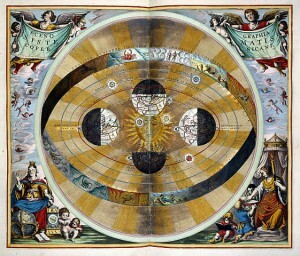 Copernican System. 1660. British Library. Public Domain. Wikimedia Commons. Despite Gregory’s proclamation, the calendar still didn’t work properly, largly because in 1582 the earth was the center of the universe. 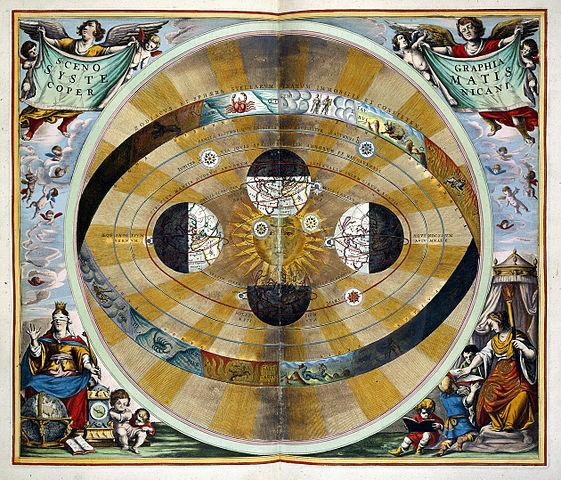 Scientists and astronomers adjusted their computations until Copernicus made his breakthrough. Our universe actually revoves around the sun, reducing earth’s status to a mere planet. The Church ignored and then denied this discovery until 1757 when Pope Benedict XIV suspended the ban on heliocentric scholarship. 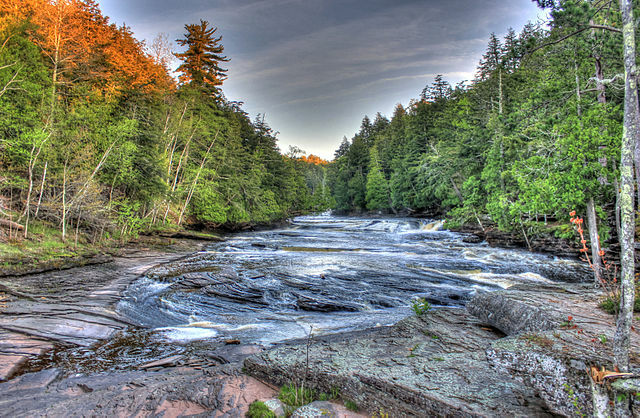 River – Porcupine Mountains MI, Public Domain, Wikimedia Commons. 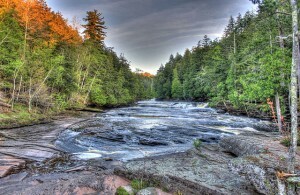 Yet another reason to fully embrace and enjoy the current moment. Featured Image: January Print, 1820s, US Public Domain, Wikimedia Commons.